Non-compete agreements, also known as no-competition contracts and covenants not to compete, prohibit a former employee from working for a competitor or otherwise competing with her former employer for a given period of time. 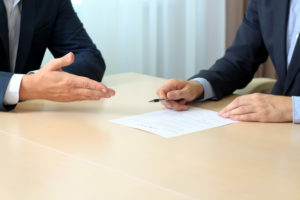 The Pundzak Law Office can prepare enforceable and fair non-compete agreements, can negotiate changes to existing agreements, and is highly experienced in litigating non-compete cases. Non-compete agreements are becoming increasingly common in today’s business world. A non-compete agreement is simply a promise that an employee will not compete with an employer, for a specific time and in a specific location. Sometimes, non-compete provisions are joined with promises not to solicit an employer’s clients or workers. Employers often have employees sign such agreements when they are hired, or in conjunction with a severance agreement upon termination. Generally, non-compete agreements are enforceable in Ohio and in most other states, as long as they are limited in time, geographic scope, and effect. Two to three year terms are commonly enforced, as are “reasonable” geographic limitations. However, what constitutes a “reasonable” geographic limitation very much depends on the individual circumstances of each case. A purely local business may be able to enforce a non-compete in the surrounding metropolitan area, while an international company with sales across the globe might prohibit competition in all of its markets. Furthermore, the non-compete agreement must be limited in effect. In other words, it cannot be broader than is necessary to protect the employer’s legitimate business interests. For example, if an employer manufactures and sells widgets, it cannot prohibit a terminated sales employee from selling all other products. It is much easier to negotiate the terms of a non-compete agreement before it is signed than after. Therefore, if you are being asked to sign a non-compete agreement, first have it reviewed by a competent attorney. Small businesses, especially, may benefit from having their key employees sign non-compete agreements. Such agreements can help protect customer relationships by preventing key customer contacts from taking clients with them when they leave. They can protect the business’s investment in training by preventing competitors from hiring employees after the business invests the time and expense to train them. And they can help encourage key employees to stay with the business rather than flee for a competitor’s greener pastures. Call Lynn Pundzak at 513-564-9999 to discuss your non-compete needs or concerns.